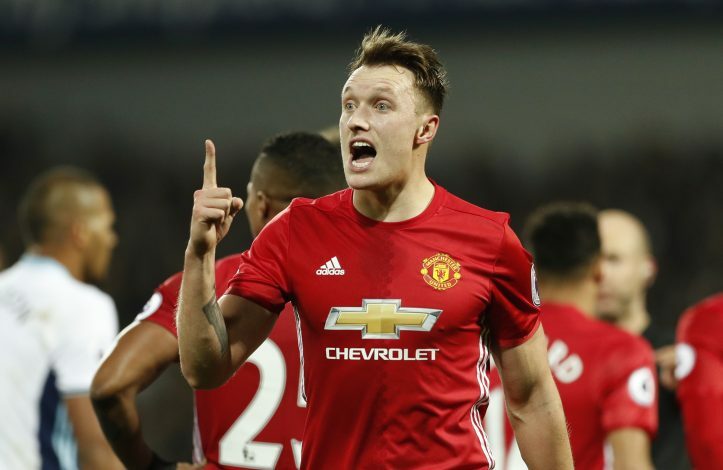 Manchester United defender Phil Jones is not having an international weekend he would have liked as the centre back pulled out from the England squad set to face Lithuania and Germany next week due to an unspecified injury picked up in training, report The Mirror. Gareth Southgate faces defensive woes as Gary Cahill is suspended and West Ham player Antonio is out due to injury. The injury of Jones is another worry for Mourinho as his squad gets ready to prepare for a hectic April month filled with fixtures and the loss of an experienced centre back is surely a cause of concern. The Red Devils begin the month facing West Brom, Everton and Sunderland on 1st, 4th and 9th April respectively in the Premier League which is also followed by European action coming in thick and fast. The injury to Jones was confirmed by the FA and the 25 year old returned in time before things get worse in the long run. As far as England are concerned, Southgate is yet to assess his further back up options while Will Keane, Chris Smalling and Jon Stones remain his current options in defence. The Three Lions will face Germany followed by Lithuania and as old timers like Defoe return to the team, Phil Jones will surely miss out on being a part of team keen to impress current boss in order to stay a part of the team for months and years to come.